Pull. Power. Performance. The 2017 Ram 2500 is not your average pickup, and it proves it every time you get behind the wheel. If you’re looking for a truck that can haul more efficiently, tow more weight, and power through just about anything — you’re looking for a Ram 2500. 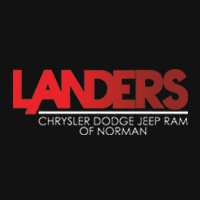 You can find the toughest trucks around at Landers Chrysler Dodge Jeep Ram in Norman, Oklahoma. Landers CDJR customers come in from across the Oklahoma City metro, including Edmond, Moore, Midwest City, Yukon and Del City. Stop by today and take one for a test drive. Get Directions to Landers CDJR of Norman now. The 2017 Ram 2500 was engineered specifically to take on the toughest jobs and put up heavy-duty numbers. With seven different available trims, you can choose the truck that best fits your needs. 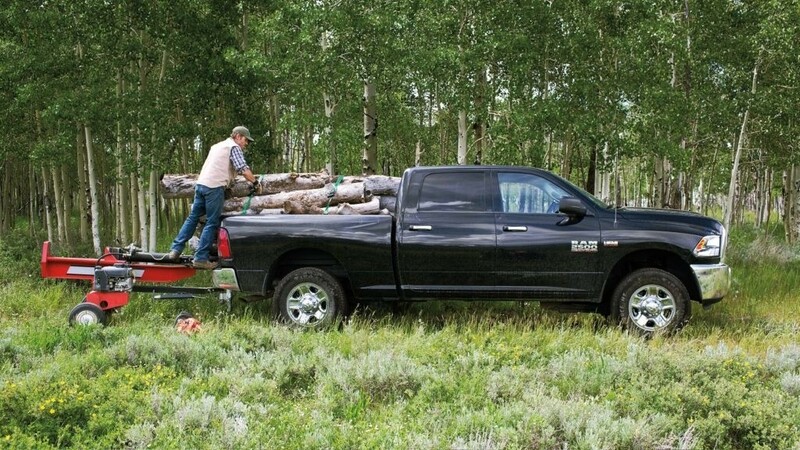 With the Tradesman model, the Ram 2500 has a max towing capacity of 17,980 pounds. It has a maximum torque of 800 pound-feet, and 410 horsepower. Your truck bed and cab alone can haul up to 3,990 pounds with the gas engine — so you never have to leave anything behind. With additional features like the trailer harness connector and heavy-duty hooks, there’s no limit to what this truck can do. The available Ram Active Air is a computer-controlled valve system that automatically switches where air is pulled from, which guarantees you the best performance in every situation regardless of heat, grade or cold. Built for the working world, the Ram 2500 can do more than just get the job done—it can get the job done again, and again, and again. The 50,000-PSI hydroformed steel frame is optimized for max strength and efficiency. The available 6.7L Turbo Diesel I6 engine incorporates one-of-a-kind smart diesel exhaust engine braking technology to help control the descent of a vehicle on a downward slope. 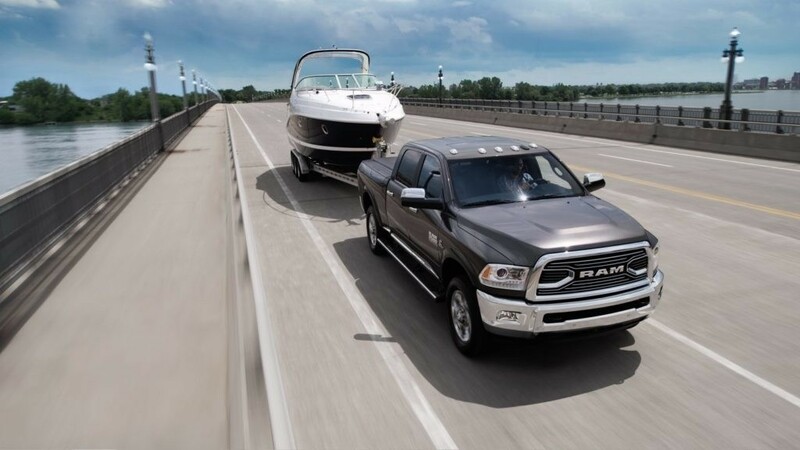 Ram is so confident in these trucks that they back the diesel-powered pickups with an unsurpassed 5-year/100,000-mile limited warranty; and the gas trucks with a 5-year/60,000-mile limited warranty. That pretty much speaks for itself, doesn’t it? Not everything great about the 2017 Ram 2500 is on the outside. The interior is equipped with versatile seating and clever storage options, along with features to make driving and parking easier everywhere you go. The huge available 8.4-inch color touchscreen command center makes you the ultimate pilot of your truck. You can access SiriusXM radio, make hands-free calls, display navigation, and more. With available Uconnect Access, you can connect to all your apps and even hop on a Wi-Fi hotspot. If it’s time for your next work truck, stop by Landers CDJR of Norman today to take one of these monsters home with you. Browse our Ram 2500 inventory online!